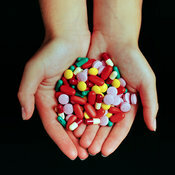 Assorted antibiotic pharmaceuticals as pills and capsules. The yellow tablets are Oxytetracycline 250mg , the green capsules are Doxycycline 100mg. 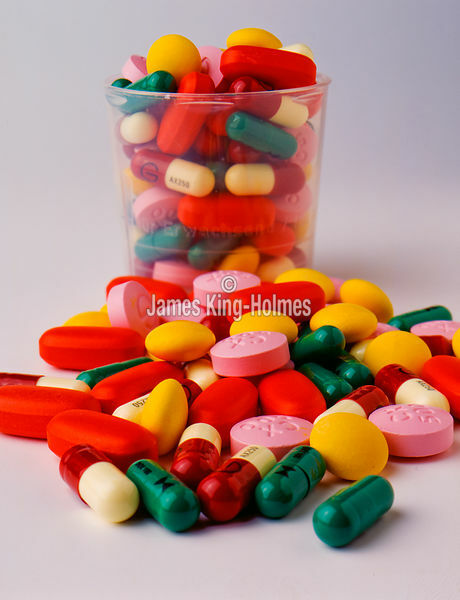 The red & cream casules are Amoxycillin 250mg and the pink tablets are Cephalexin 500mg, one of the Cephalosporin group. The red tablets are Erythromycin 500mg.